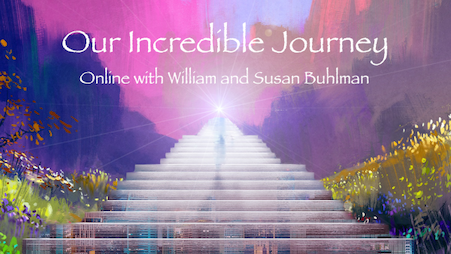 This three-week online workshop is for anyone who wants to chart a new course in life, eliminate fears and doubts, and follow a spiritual path to success. If you’re not clear about your dreams — if they’ve been buried beneath a mountain of stress, routine, and obligations — you can get clear very soon. You’ll recognize and empower your unique dreams so that they become bigger than any of your doubts and fears. The Magical Path workshop provides a profoundly uplifting blueprint for moving beyond old blind spots and blockages and stepping into a brand new phase of your life. 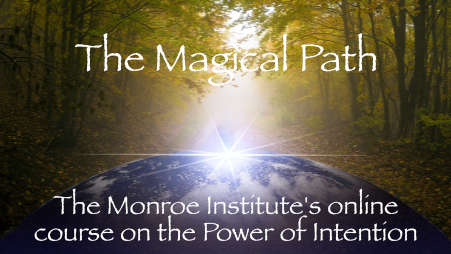 Now part of The Monroe Institute's online courses, produced by GlideWing, and includes ten downloadable exercises and guided meditations featuring the SAM and Hemi-Sync® audio guidance technologies. Personal support and guidance is provided by Marc Allen. "The Nature of the soul is to Awaken". 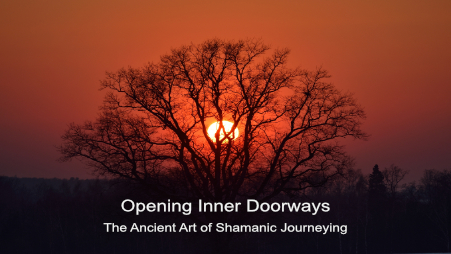 The Opening Inner Doorways workshop is a guided journey in itself, into the realms of awakened conscious awareness. It is an exploration of integration, through the vehicle of the shamanic body, from our identity as an individual ego to that communal, collective awareness of soul. This is an experiential workshop that introduces a spiritual practice which lies at the core of shamanic traditions that have been taught for millennia. Personal support and guidance is provided by Kenn Day. By learning how to use Acupressure points with meditation, you can find peace of mind & enhance your journey to spiritual awakening. The points open the flow of healing energy to greater enhance your meditation practice and experience. 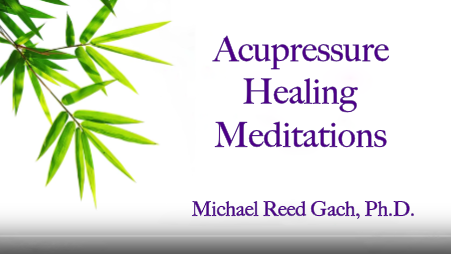 Michael will guide you step by step how to use key Acupressure points, Acu-Yoga postures and hand-specific types of meditations. Each week, we’ll focus on different ways in which these simple exercises can make a significant difference in your life. 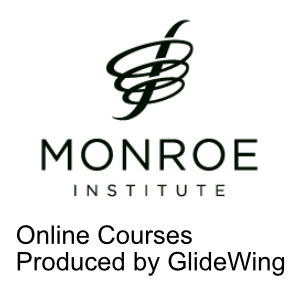 Welcome to a new series of online workshops presented by The Monroe Institute and produced by GlideWing! 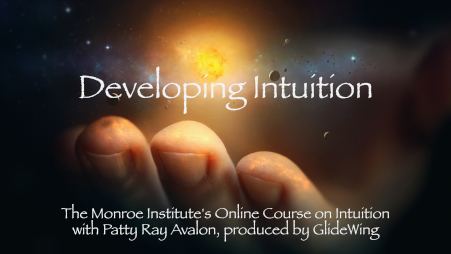 "Developing Intuition," with online support and guidance provided by Patty Ray Avalon, Residential Facilitator at the Monroe Institute since 1999. 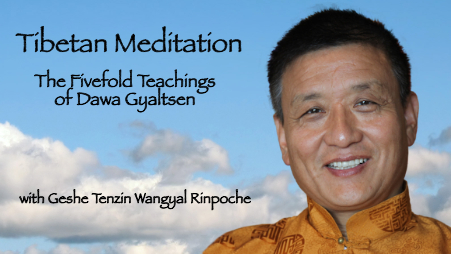 This three-week online workshop, with personal support and guidance from Geshe Tenzin Wangyal Rinpoche, is based on ancient teachings of dzogchen from the Tibetan Bön Buddhist tradition. 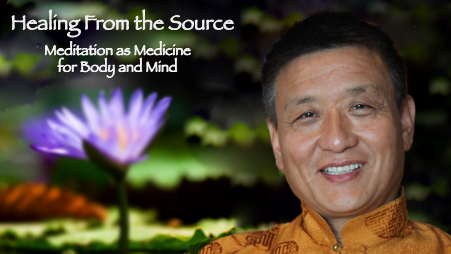 The course is designed to help one to discover the “great healer within.” The core teachings of dzogchen introduce us to the nature of mind, to our own inner refuge, the true source of healing. Everyone has access to this source through the “three doors” of body, speech, and mind, Rinpoche has explained. He describes stillness of the body, silence of speech, and spaciousness of the mind as the “three precious pills”—a powerful medicine you can take at any time, with no side effects, to help divert you from your self-punishing tendencies, clear pain and negativity, cultivate awareness, and ultimately access the healing qualities that spontaneously arise in that space. Since ancient times meditative practices from many spiritual traditions have used sound and its vibration as an essential tool for healing and spiritual development. Through singing and chanting, spiritual practitioners and healers are able to purify and restore harmony within physical, emotional, psychological, and spiritual dimensions. 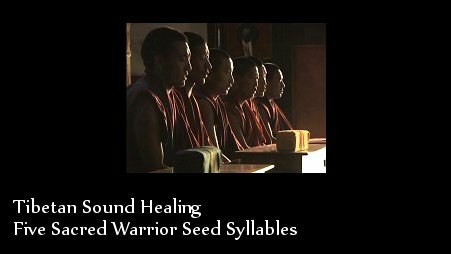 In this course you will learn to use the healing power of five sacred syllables referred to as the Five Warrior Syllables. Guided by the mind and carried by the breath through subtle channels within the body, the power of sound will open the potential to bring joy and love to your life, facilitate personal healing, dissolve energetic disturbances, and awaken positive action in the world around you. Personal support and guidance is provided by Geshe Tenzin Wangyal Rinpoche. From a Buddhist perspective, Anger, Resentment and Indifference are the three core reactive emotions from which all the other thousands of negative emotions arise. We need a way out from the ensnaring trap of these reactive emotions. Buddhism has many methods to help set us free and help us find happiness, ease of well-being and compassion. This workshop will share a powerful method that is called “investigative inquiry” or “analytical meditation.” It is like the Socratic method of asking thoughtful questions and letting the inner wisdom of your own mind come up with the answers. Personal support and guidance is provided by Dr. Laura Greenwood. 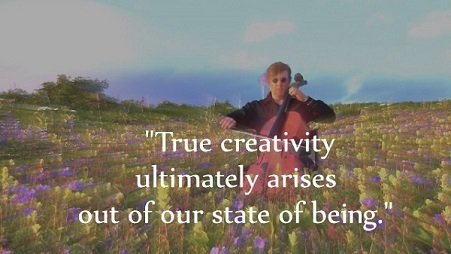 The Tibetan spiritual traditions tell us that unleashing our dynamic creative energy is a matter of recognizing and tapping into the wellspring of creativity that already exists within us. This four-week online workshop is for anyone who seeks to usher a vision into reality - whether through creative problem solving, personal growth, or bringing creative artistry to a whole new level. Personal support and guidance is provided by Geshe Tenzin Wangyal Rinpoche. 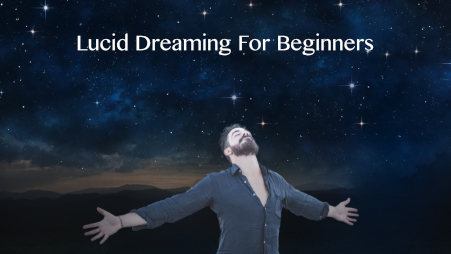 This four-week online workshop reaches out to all explorers of Lucid Dreaming – from the inexperienced beginner to those who have ventured far along the path. The personal guidance and support provided by Robert Waggoner, Gillian Thetford and Ed Kellogg will take you much deeper than the lucid dreaming basics. In this workshop, you will learn how experienced lucid dreamers use this state to access personal creativity, inner knowledge and spiritual wisdom. On the surface, lucid dreaming seems simple, curious and fun – a paradoxical state in which you know you are dreaming, while you are dreaming. There, you can fly through space, create fire breathing dragons or magical unicorns, and cast spells like Harry Potter, all in the safety of your subconscious mind. 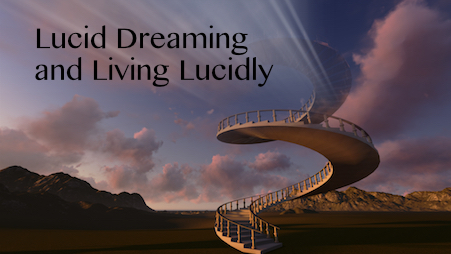 Lucid dreaming’s potential for creative play and joyous pleasures seems infinite. Throughout history, experienced lucid dreamers have used lucid dreaming as an expressway into greater spiritual development, realizing the nature of consciousness and the inter-connected knowing that Carl Jung theorized as the collective unconscious. Some, like the Indian Buddhist yogi, Naropa, have suggested that the main technique of dream yoga, lucid dreaming, offers serious students one of the six pathways to enlightenment. This ancient Tibetan Meditation practice teaches you to enter the state of pure awareness that leads to peace, joy, and ultimately, to full self-realization. These teachings are a direct introduction to the nature of mind. 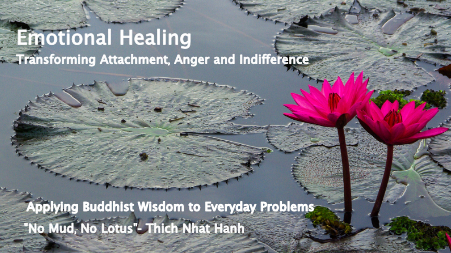 Not only will you learn how to heal your day-to-day life, make it lighter and more joyful, but through the profound simplicity of this practice, you can recognize and connect with your innermost essence, the nature of your mind as Buddha or Pure Consciousness. 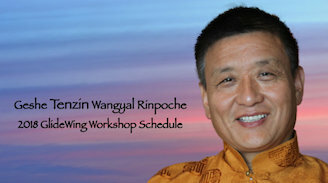 Personal support and guidance is provided by Geshe Tenzin Wangyal Rinpoche. Mindfulness is about learning to Wake Up. This self-guided three-week online workshop is now a part of our ongoing collaboration with The Monroe Institute. 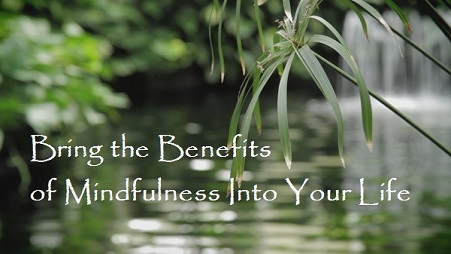 It will help you bring the many benefits of Mindfulness into your every day life in a practical and meaningful way. An experiential course, this workshop is suitable for beginners and advanced students alike. Dr. Tart is a pioneering scientist whose work on altered states of consciousness promoted the study of the physiological and psychological effects of meditation practice in the West. Everyone has the capacity to learn lucid dreaming, and our process starts with cultivating techniques that develop deep mental, emotional and physical relaxation through daytime mindfulness practices and audio-guided exercises. There will be night-time and early morning training to help you expand your awareness of natural biorhythms that provide ample opportunity for personal growth. In observing the movement of your conscious awareness throughout the day and night, you will discover the times in which the soil is most fertile and fruitful for you to practice. The tools and techniques you will learn are based on a combination of ancient wisdom and cutting-edge brainwave research. Each session in this course will include experiential exercises that will help you enhance your journey of consciousness, featuring the SAM and Hemi-Sync® audio guidance technologies. Thomas Hasenberger and Luigi Sciambarella, both highly experienced Monroe Institute off-campus residential and guest trainers, are your guides for this three-week intensive course. Nearly all of us feel strongly attached to our physical body and to our sense of identity as a professional, a spouse, a son or daughter, for example. But our genuine self is far simpler, and more profound, than any of these. 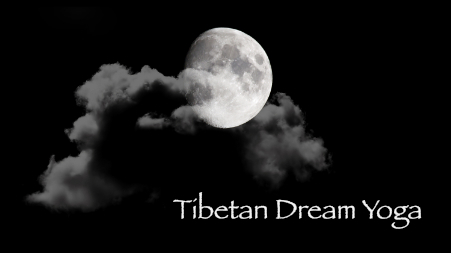 Through the practice of sleep yoga and other guided meditations, Tenzin Wangyal Rinpoche helps you to discover the truth of who you are: a sense of spacious awareness that is beyond the ego-based identity and which is eternal, changeless, indestructible, and serene. Realizing this truth is what liberates us from the fear and negative emotions that have trapped us in suffering. It can help us overcome fear even during the most challenging moments, including the time of our own death. Quantum Physics gives us a window into the nature of the world that surrounds us, and the more we learn, the more we understand that science and spirit are leading us on the same path. 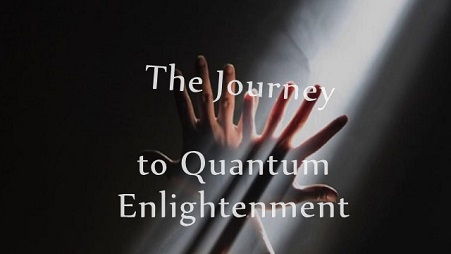 Dr. Amit Goswami calls this "Quantum Enlightenment", and it can transform your life. Join Dr. Goswami on a journey of discovery. This course is now a part of our expanding collaboration with The Monroe Institute, and now includes guided meditations and exercises featuring the SAM and Hemi-Sync® audio guidance technologies. Are you using the incredible wisdom, creativity and insight available to you each night? 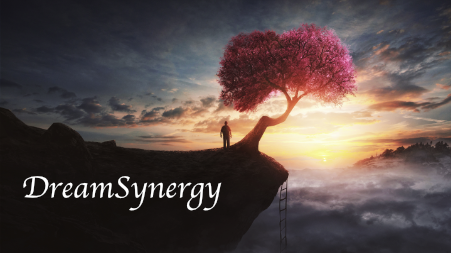 In this experiential DreamSynergy™ workshop, Justina Lasley guides you through practical exercises for understanding the meaning of your dreams so that you develop skills for becoming your own dream counselor. She shares with you how dreams have positively impacted her life in areas of health, relationships, and career. Justina will introduce you to practices that you can make a part of your life so your dreams become a nightly resource for living a more purposeful, successful and healthier existence. You will learn to easily remember, record, and analyze your dreams to better understand yourself and your life. Continuing Education Credits (8 CEUs) are available for completing the Interpreting Your Dreams workshop for an additional $15 fee. In our society, there is enormous pressure to choose material existence at the expense of the inner quest. 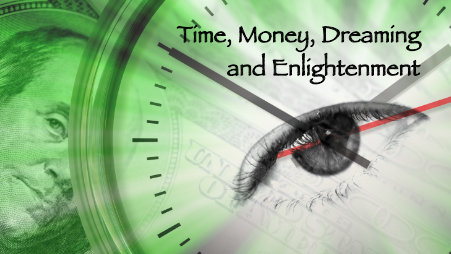 We are told that Time IS Money and to waste time on nonmaterial pursuits, such as Dreaming or Enlightenment, is a frivolous indulgence. Ironically, our unquestioning acceptance of that cliché leads to rejection of powerful and creative resources – the very tools necessary for navigating an otherwise uncertain physical world. It is the Heart that is able to lead the way while bridging the gap between our inner and outer lives. Personal support and guidance is provided for this six-week course by Paul Rademacher. This three-week online workshop, with personal guidance from Geshe Tenzin Wangyal Rinpoche, makes accessible the ancient Tibetan Yogic Practices of Breath and Movement. These practices will awaken your subtle energy body, opening and clearing your energy centers and channels. They will help to bring you physical fitness, mental well-being and spiritual growth, and allow the natural human qualities of love, compassion, joy and equanimity to arise. Suitable for both physically fit and beginners with no physical training. Personal support and guidance is provided by Geshe Tenzin Wangyal Rinpoche. This three-week online workshop deepens participants’ experience of soul and spirit through ritual process. 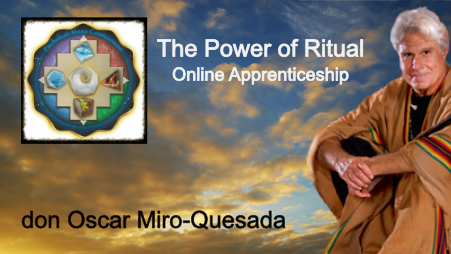 This apprenticeship workshop initiates participants into the Pachakuti Mesa, a powerful and sacred altar. Students learn how to create their own mesas and work with them for self-empowerment, transformation, and helping others. Students will also work with ancient breathing techniques and traditional ceremony for physical, emotional, mental and spiritual health, well-being, and transformation. Personal support and guidance is provided by Oscar Miro-Quesada. 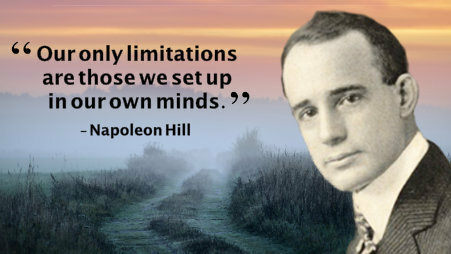 This online course is based on Napoleon Hill’s classic work, Think and Grow Rich, the best-selling philosophy for success of all time and still the #1 book on personal development ever written. Think and Grow Rich is a manifesto for living the life you were born for – and a blueprint for success of all kinds, including financial, professional, personal, physical, and spiritual. Originally published in 1937, Think and Grow Rich has gone on to sell tens of millions of copies, and transformed the fortunes – and dreams – of many of the most successful people, from all walks of life, in the last 80 years. The 13 Steps to Riches contained in the philosophy create a roadmap to success that has proven to work for countless entrepreneurs, students, CEO’s, and anyone who wants to discover the extraordinary program to achieve their own personal goals. Lucid Dreaming, or the ability to become consciously aware of dreaming while in the dream state, has been scientifically validated since 1980. Once aware within the dream, you have a special platform of awareness from which to access inner creativity, promote psychological growth and even encourage physical healing. This workshop focuses on the basics of lucid dreaming and is suitable for those who have never had a lucid dream (but have dream recall) and those who have limited experience with lucid dreaming. Almost every spiritual tradition includes a practice that develops concentration and stillness of the mind. 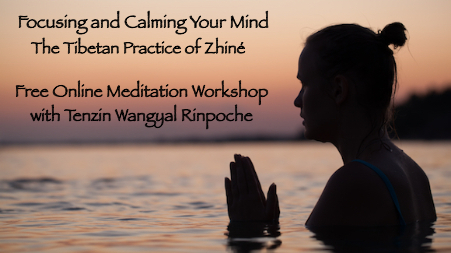 This practice is called "calm abiding," or "zhiné," in the Tibetan traditions. The practice of zhiné develops the strong, stable attention and stillness necessary to overcome the continual movements of the mind. The ability to maintain focused attention and abide in clear, open awareness not only enables you to live more fully in the present, it also cultivates spiritual awakening. The practice of zhiné affords an opportunity to step out of the distractions of everyday life and come home to yourself. Throughout history, there have been those who’ve discovered a timeless truth about human consciousness: Our natural state of mind is already one of ease and contentment. We don’t need to do anything, or go anywhere to feel the inner peace and joy inherent in our true Self. 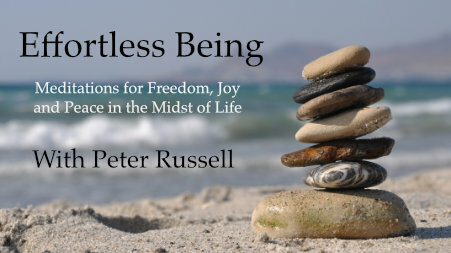 In this three-week online workshop, Peter Russell explores what prevents us from experiencing our natural state of mind and leads guided meditations, practices and exercises to help us connect to the core of our true Self and return to our natural state of effortless Being. This workshop is co-sponsored by the Institute of Noetic Sciences, and includes eight downloadable audio (MP3) exercises and guided meditations. Personal support and guidance is provided by Peter Russell throughout the three-week course. 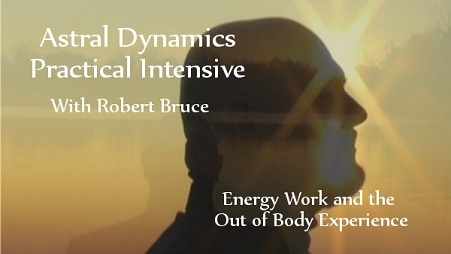 The Astral Dynamics Practical Intensive is a five-week home-study retreat that gives you an opportunity to develop inner stillness, develop your subtle energy body, and expand your awareness of the greater reality that surrounds us all. 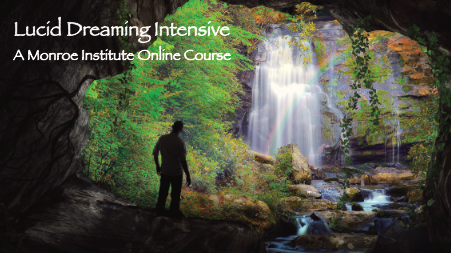 This is an experiential course, that helps you build a solid foundation for your spiritual development, and extends into a personal exploration of the phenomena of lucid dreaming and the out of body experience (projections of conscious awareness). Personal support and guidance is provided by Robert Bruce. We are very pleased to announce the continuing collaboration between GlideWing and The Monroe Institute in the development of a new series of online courses featuring the SAM and Hemi-Sync® audio guidance technologies and an expanding list of transformative topics. We celebrated the tenth anniversary of creating and delivering the GlideWing online workshops this past summer, and we want express our sincere thanks to all of you in our online community, for ten remarkable years of warmth, friendship, and support. So many of the technological marvels we take for granted today, simply didn't exist just ten years ago. It's amazing to think back about how far we have come since those days of dial-up internet connections, the birth of the iPhone, and the emergence of online video. Many of you have been with us since the very beginning, and we hope our courses have helped you in immeasurable ways. Thank You!! "I am astounded by what a rich experience this has been. Being able to ask the teacher questions was a real gift. The format of the workshop was so user-friendly. I can't say enough about how much I have enjoyed and benefited from this experience. Thank you." — Kim, U.S.
"This was an amazing learning modality! I cannot express my joy and appreciation enough. The videos, forums, MP3's and community have been life-altering." — Hathi, U.S.
"This platform was marvelous. I have participated in online learning systems, but to me this was the most user-friendly and robust. Kudos to GlideWing!" — Clara, U.S.
"It was great to learn these teachings from a real expert on the subject. The online community and support was wonderful." — Andrew, U.S.
"I really appreciated this format, so that I can return to the classes to examine details I may have overlooked. I loved the connectivity of the forum as well." — Suzanne, U.S.
"This is the most remarkable workshop I have ever taken. It covers advanced spiritual topics stripped of religious trappings and to a greater depth and clarity than I have ever experienced before.. I has been my privilege to have taken this workshop." — Maria, U.S.
"Initially I was apprehensive about learning online, now I prefer it to attending a conference or structured event. The Video clips are short and to the point, making the format conducive to learning. The facilitators are attentive and answered my questions in a timely manner. I was very pleased with the entire program. Again thanks." — Pamela, U.S.
"This course has been an eye opener and game changer for me! I am integrating the practice in my daily life.. Thank You!" — Christopher, U.S.
"This is the most practical workshop I ever have attended. Dr. Tart teaches with wisdom and compassion. He responded all our questions with great care, love and clarity. I enjoyed so much in reading his responses. It is a life changing experience for me." — Cindy, U.S.
"What an incredible experience this workshop was. Not only was the site intuitive to navigate, and the instructions and materials top notch, but Robert Waggoner's hands-on personalized attention took the workshop to the next level. Highly recommended." — Sophia, U.S.
"This was a phenomenal course and really so relevant to modern life. Thank you for sharing your knowledge with us Peter." — Christopher, U.K.
"This is a wonderful concise course and the best meditation instruction I have ever received, and I will not hesitate to recommend it to friends and clients. I am so excited and energised by what I have learned!" — Julie, U.K.
"I really loved this workshop. The tools are very powerful and yet very simple. This is something that I can apply and do right away and watch the results unfold. This is exactly what I needed. I am so used to complex...and then you just don't actually do it because it is too hard. The fact that Marc has achieved such success and has used these techniques really speaks to their power. Thank you so, so much for this wonderful opportunity." — Rowynn, U.S.
"I thought the opportunity to study these teachings and have this experience without having to get on an airplane was an awesome experience." — Kym, U.S.
"The staff at Glidewing are professional, pleasant and prompt to take care of any questions or technical issues you have. I have enjoyed my time with Glidewing and I will surely come back again." — Carol, U.S.
"I found the videos very helpful and insightful. I had the book but hearing the teachings from Tenzin Wangyal Rinpoche himself is greatly beneficial." — Peggy, U.S.
"I am grateful for the depth, elegance and clarity that the Dream Yoga workshop and practice provide. I quickly noticed positive change in my waking life." — Karen, U.S.
"This was a wonderful way to connect with Rinpoche, the practice and sangha from all around the world. The month-long format allowed for a deepening of each step of the practice, so that transformation could happen and be observed over time. The support of having Rinpoche holding the space for us and personally responding to questions was invaluable." — May, U.S.
"The presentations were clear and Kenn was very helpful and answered any questions I had. The workshop format was great and the course easy to access." — B., U.S.
"This has been a very rewarding workshop on a personal level, and the teachings have been passed on in a very genuine way by Don Oscar Miro Quesada. The help from the Glidewing team had also been fantastic, and very welcoming and accommodating." — Steven, U.S.
"Great workshop! Really enjoyed the flexibility that the schedule and individual units offered." — Jennifer, U.S.
"I have been involved in a variety of meditation practices with dead and living teachers. Nothing beats being connected to other human beings. I have taken some useless courses but this was helpful and worthwhile. Thanks to all those involved." — Mary, U.S.
"Gratitude for such an awesome experience right in my home and appreciation for all that helped in making this workshop possible, many thanks." — Jini, U.S.
We invite you to read more student feedback on individual workshop pages!